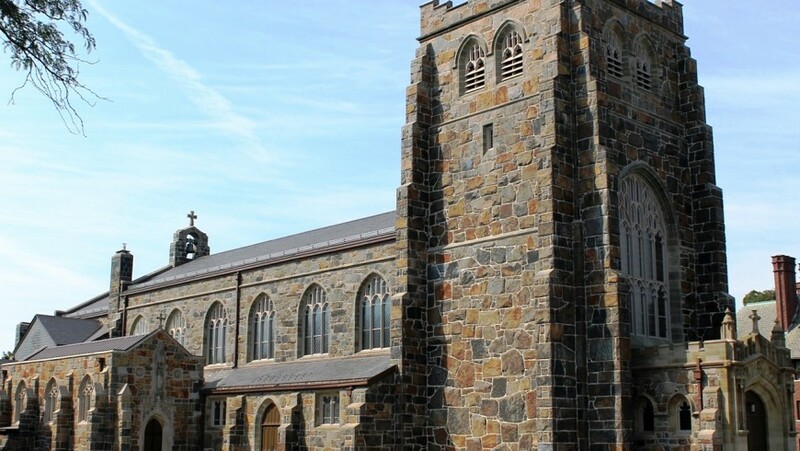 All Saints, the first commission of the firm of Cram and Goodhue, was built in several stages. 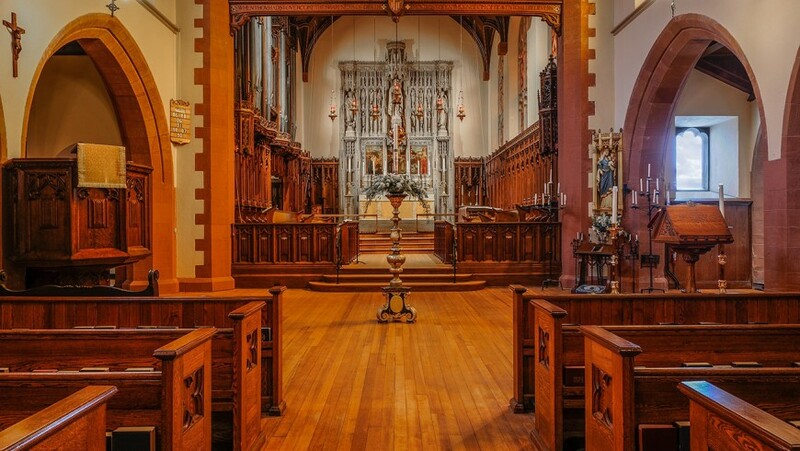 Cram used the design of All Saints as a test bed for his emerging theories on liturgical design. After the construction of the initial church, he returned over many years to complete designs for several additional elements. The Nave, Chancel and Cloister were completed in 1893, the North Tower and the Porches in 1895, the Parish house was completed in 1907, the Lady Chapel in 1913, the Chancel reredos and carvings in 1916, and St Stephen’s Chapel was completed in 1930. 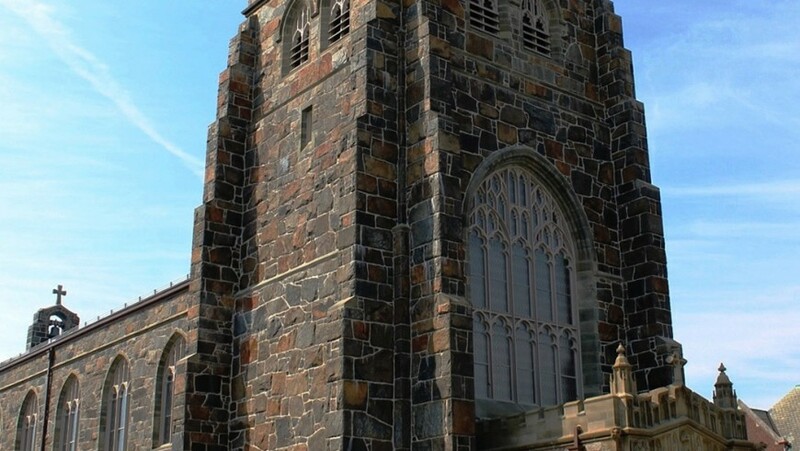 The set of bells in the carillon was completed in 1923. After the completion of the Historic Structure Report in 2011, Smith + St. John was hired to manage the full renovation. Our first task was programming of the church’s needs and crafting a careful scope description, which allowed for a conceptual cost estimate. With these basics we completed a formal grant application early in 2012. The success of the application allowed design to start, and construction began in late spring of 2013. As design progressed, Smith + St. John set up the project financial records, based on maintaining the overall budget. We managed the design process, coordinated the contractor selection process, and managed the owner’s vendors for geotechnical investigations, hazardous materials assessment and low-voltage work, among others. 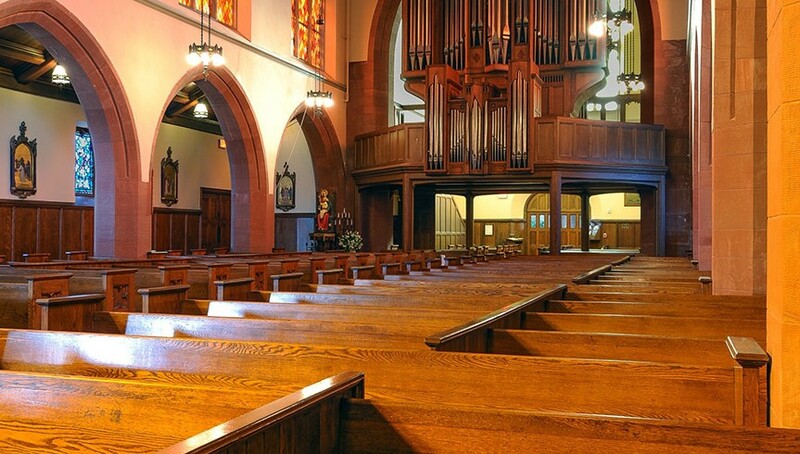 As construction has progressed we have assisted the owner in evaluating proposed changes, making sure that the budget will stretch to cover as many of the church’s needs as possible. We attend every project meeting and help to frame all major issues for the owner’s decision. The first phase was focused primarily on exterior renovation, the second phase on interiors and the construction of a new entry and elevator addition. 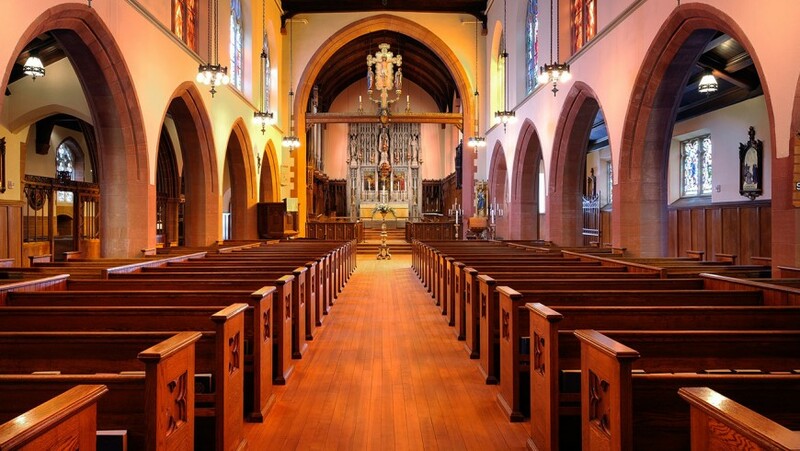 The entire church and Parish House were staged in order to provide complete access to the exterior. 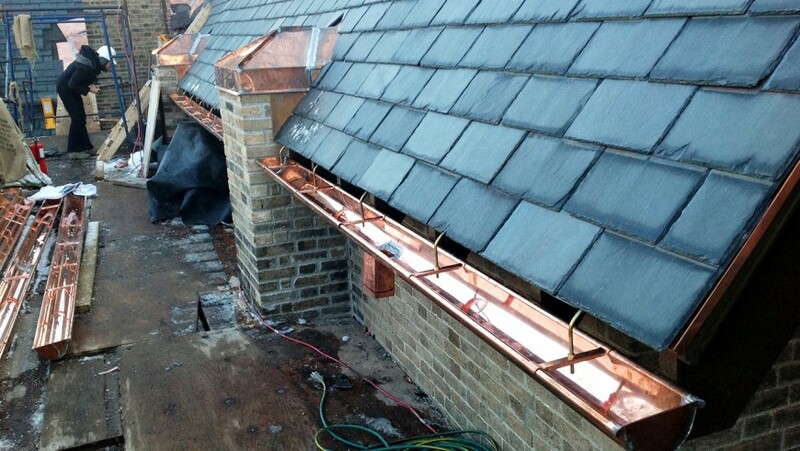 The slate and copper roofs and all copper flashing and gutters were replaced. 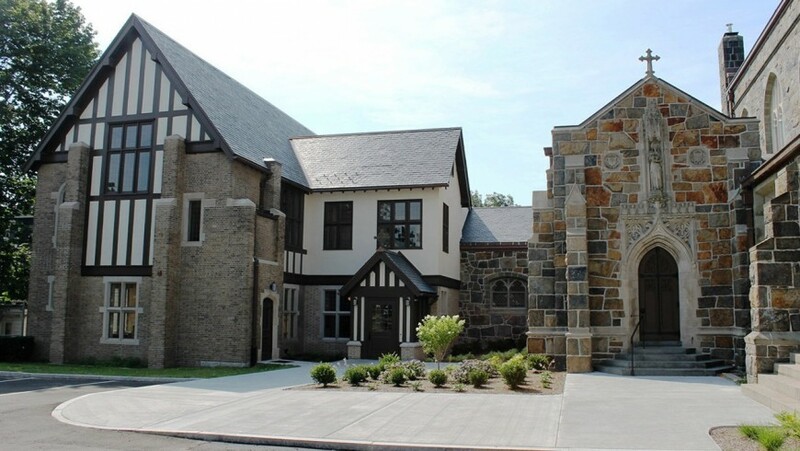 Stone mortar joints were raked and pointed on the Church, and deteriorated wood trim was replaced on the Parish House. 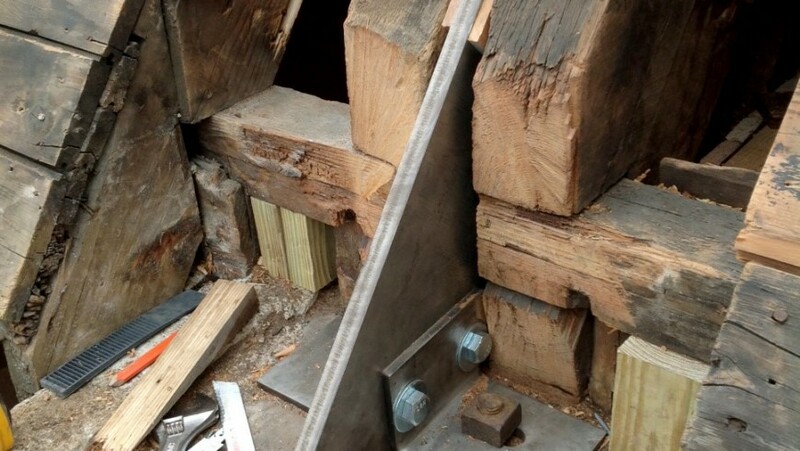 A number of rafter tails on the Parish House had rotted and had to be reinforced with steel. All exterior woodwork was repainted. The main entrance stairs have a broad new landing and code compliant new stairs, which also allowed the addition of a wheelchair ramp. The first phase also included construction of urgently needed new toilets at the lowest level. The second phase encompasses the interior restoration in the Church. 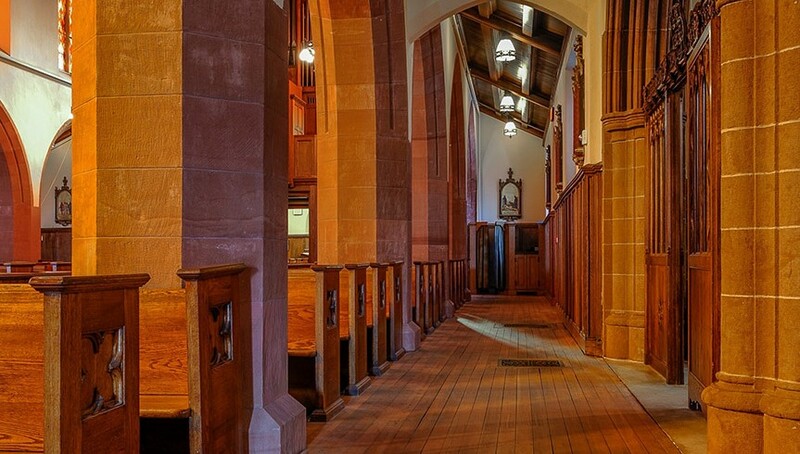 Cram specified a “red stone from Lake Superior” for the arches between the nave and the aisles, and this stone has been stripped of the paint that had encapsulated it since the 1950’s. 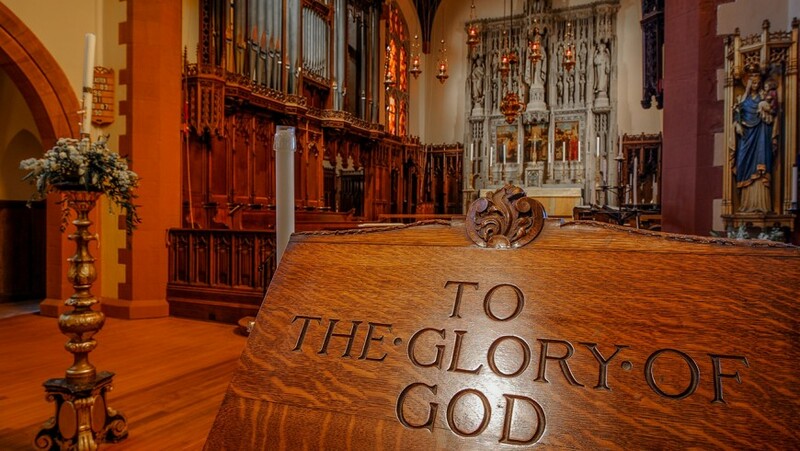 The plaster is being repaired and painted, the wood floor refinished and the pews repaired and waxed. 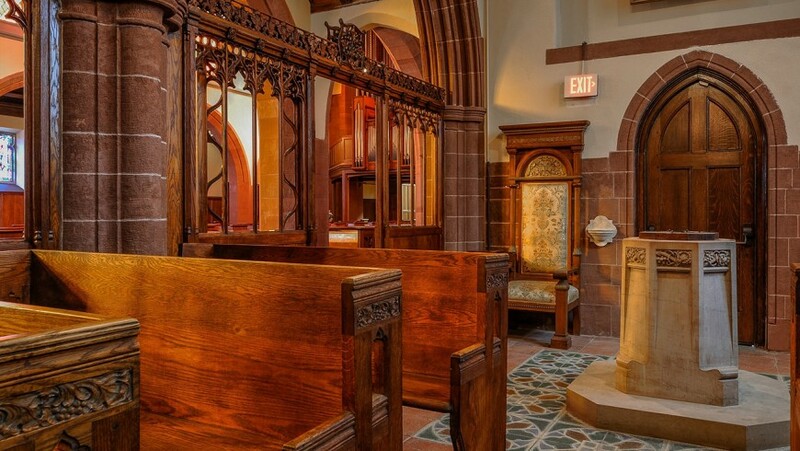 The sacristy adjacent to the chancel will be completely renovated, with new cabinetwork and finishes. The second phase also includes the new Parish house entrance and elevator addition and a new main stair. 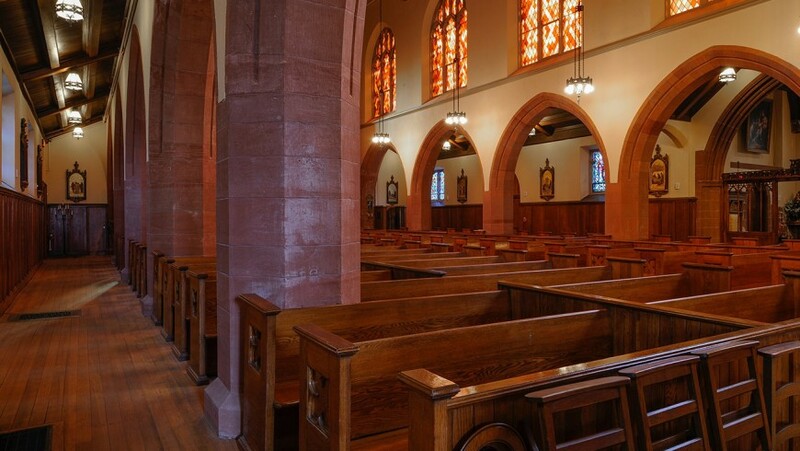 These functional improvements will make the experience of parishioners of all ages significantly better, and careful attention has been taken to ensure their design meshes gracefully with the existing church buildings. 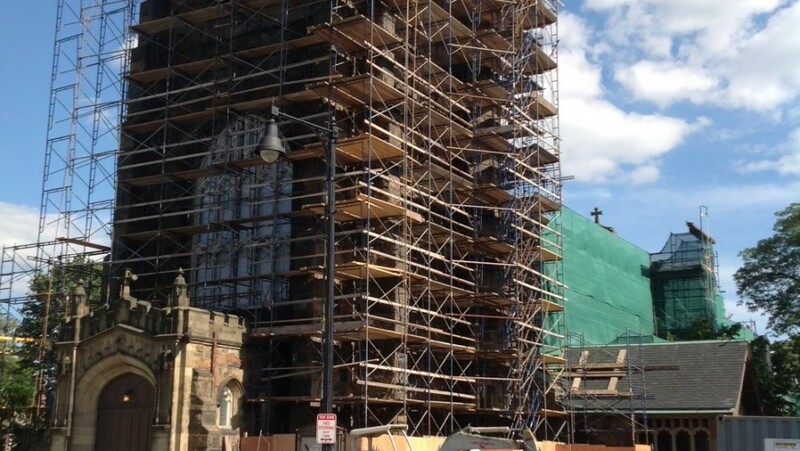 In this phase also the HVAC system is being upgraded, the sprinkler system is being extended to the Church and a new code-compliant fire alarm system is being added. Historic lighting fixtures will be restored, augmented by new lighting and control systems. 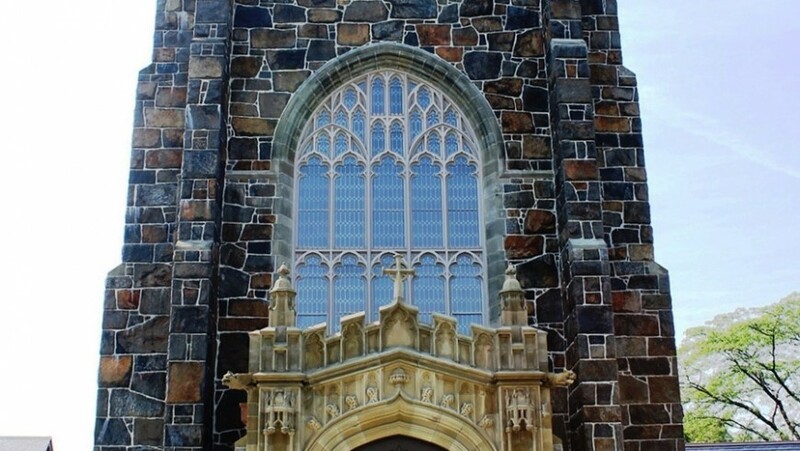 Finally, and perhaps most exciting for the parish, stained glass and tracery throughout the church is being restored. 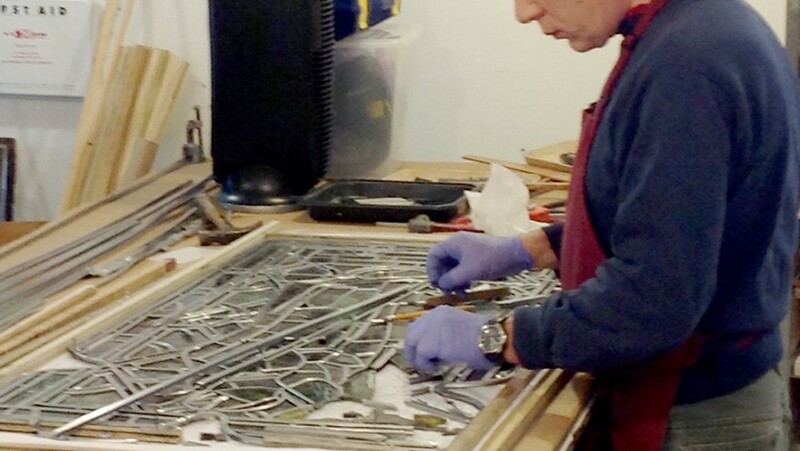 This painstaking process will see every piece of stained glass in the Church removed, disassembled if necessary, repaired, cleaned, reassembled and reinstalled. 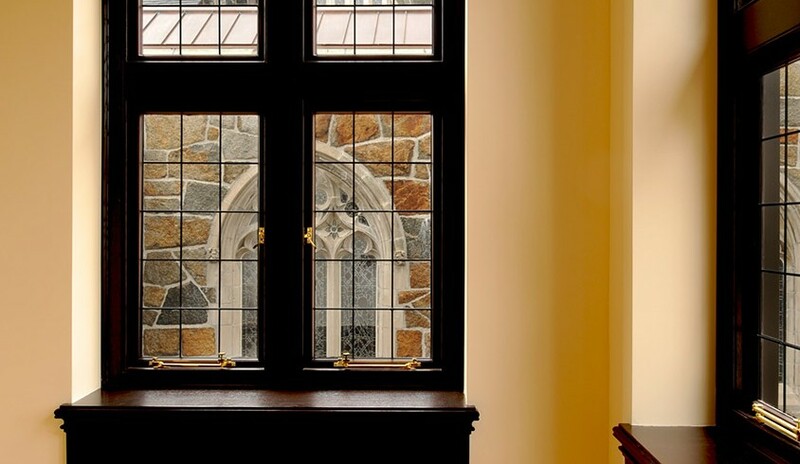 The glass restoration included all the windows in the Parish House, which are being restored to their 1907 configuration. 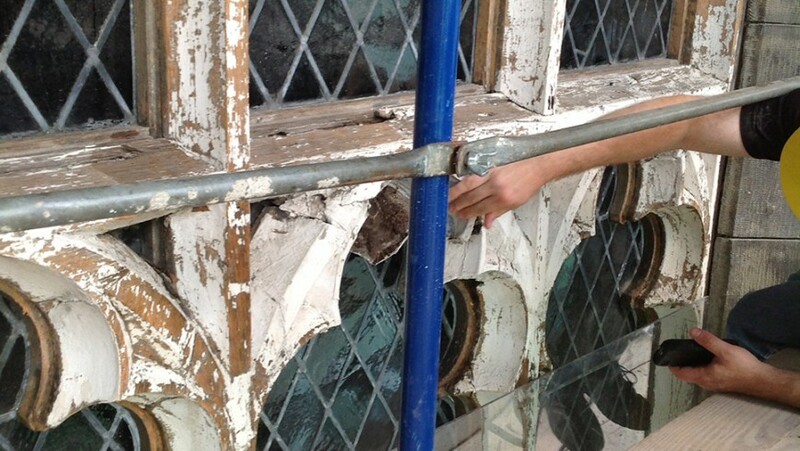 While the glass was removed from the frames, the wood tracery was carefully rebuilt. The reinstallation includes protective glazing and a venting system to protect the stained glass.